Good morning! Hope you have a great Thursday. 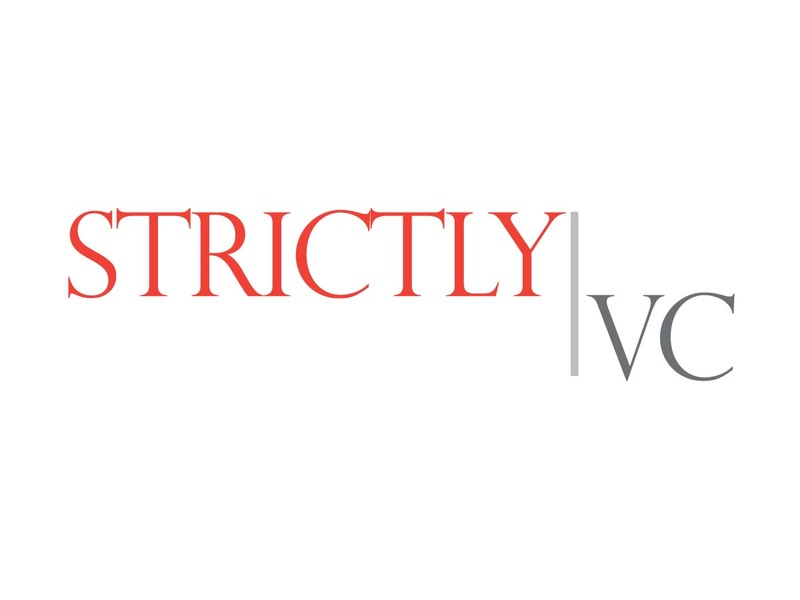 StrictlyVC is running out the door to talk venture capital this morning before a group of Wharton alumni. Hope to see some of you there. A gift from Steve Jobs returns home. Entrepreneurs Naval Ravikant and Babak Nivi have already done much to reshape the startup investing landscape with AngelList, their now four-year-old networking site that has largely replaced coffee meetings with Internet-based matchmaking. Though Syndicates is still nascent, I caught up with Ravikant yesterday afternoon to see who has begun using it and how it’s doing generally. Our chat has been edited for length. Can you give us a sense of the activity you’re seeing on Syndicates? I’d estimate that something like $5 million has moved through the platform already, with several million more dollars [committed but not yet closed]. About 24 deals have closed, and others are in various stages of closing. Do the deals involve many of the same people or are you seeing fairly disparate groups? A bit of both. Some people are using it more promiscuously to diversify their portfolio. Others are doing deals because the know the lead backer well and it’s a trust relationship. For example, you see [Path CEO and former Facebook exec] Dave Morin and other Facebook alums co-investing together and backing each other. Is anyone using the platform who you didn’t anticipate would? The biggest surprise has been VC interest. The response has been the highest from angels, but we’re in advanced stages of talking about how to do syndicates with four firms, and numerous others are using the platform as a way to scout out deals. As with their scout programs, they’re backing their portfolio CEOs when those CEOs go and find and fund great companies. Will we see a day when a person can raise $20 million via Syndicates to invest across numerous startups? The way it’s set up right now, you can [invest] deal by deal…So we’ll hold funds in escrow for one deal. What we’re not doing is [managing a] 10-year commitment. If [Google Ventures partner] Kevin Rose has $2 million in backing, that’s $2 million [for one] deal. But he can drop people, or they can drop out of the syndicate, any time. Has Kevin Rose made an investment through the platform yet? There are three Google Ventures partners who have a lot of syndicate backing but haven’t done a deal yet. 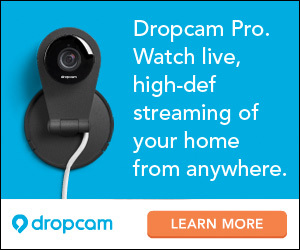 This whole thing seems like a great financial proposition for everyone but you. Is that true? The idea isn’t to make money in the short term. But yes, today, it’s a money loser. We take 5 percent of [any upside] so if a lead invests $100,000 personally in a company, then raises another $1 million off Syndicates, we get carry off that $1 million, or $50,000 [if the company sells for $10 million]. But most Syndicates are in the $250,000 or $300,000 to $750,000, so at the lower end, that’s about $10,000 for us. Meanwhile, our out-of-pocket fees – to set up the funds, handle customer accounting [and so forth] are $12,000. So we’re basically paying $12,000 for $10,000 in future profit. Because longer term, we think we can bring LLC costs down to $5,000. And as syndicate sizes grow, it starts to become marginally profitable. In the meantime, are you quietly investing a fund for anyone right now? At one point, you were talking about doing that after you’d invested a $20 million angel fund, Hit Forge. I’ve been offered to raise another; [Hit Forge included stakes in] Uber, Twitter and Stack Overflow. But investing is [just a side hobby] now, and I’m making all my investments through Syndicates. I get to follow my best friends into deals, and I don’t mind paying them for carry if it means I don’t have [as many] coffee meetings. Apprenda, a six-year-old, Clyfton Park, N.Y.-based company whose software platform makes it easiser for its enterprise customers to deploy cloud applications, has raised $16 million in a Series C round led by Safeguard Scientifics. Previous investors Ignition Partners and New Enterprise Associates also participated in the funding, which brings the company’s total haul to date to $32 million. Centzy, a New York-based local search engine which provides informations about nearby businesses, has $4.3 million in funding led by Matrix Partners, with participation from previous investors Cowboy Ventures and ff Venture Capital. The company, which has also just changed its brand from Locality, has raised more than $6 million to date, according to TechCrunch. Lifecake, a two-year-old, London-based company behind a photo-sharing app meant for families, has raised $1.1 million led by Balderton Capital. The company had previously raised $300,000 in angel funding, including from Techtopia, and EC1 Capital. Lytro, a two-year-old, Mountain View, Calif.-based camera technology startup, has raised $40 million in Series B funding led by North Bridge Venture Partners. Existing investors also joined the round, including Andreessen Horowitz, New Enterprise Associates, and Greylock Partners. According to Crunchbase, Lytro has raised $90 million altogether so far. Plain Vanilla, a three-year-old online game studio with offices in San Francisco and Reykjavik, Iceland, has raised $2 million in fresh funding from Sequoia Capital and e.ventures. The company’s signature game is QuizUp; according to VentureBeat, Plain Vanilla has raised $5.6 million altogether, including from CrunchFund, BOLDstart Ventures, Red Globe, Bootfish, The BAM Trust, Cap-Meridian Ventures, Greycroft Partners, IDG Ventures, Tencent, and MESA+. Shake, a year-old, New York-based startup that allows users to sign and send legally binding agreements from their phones, has raised a $3 million Series A round led by SoftBank Capital, which was joined by BoxGroup, ENIAC Ventures, Mesa+, WGI Group and investor Patrick Keane. Previous investor RRE Ventures also participated in the round, which brings Shake’s total funding to $4 million. Origin Ventures, a 14-year-old, Northbrook, Ill.-based, early-stage venture firm, has closed its third fund with $47 million, it announced yesterday. The fund is focusing on providing Series A financing to software, e-commerce, digital media and ad technology startups. Origin began fundraising for its newest vehicle in January and has made a handful of new investments since, including Aisle50, a startup that makes it easier to save at the grocery store, and DoggyLoot, a daily deals service for dog owners. One of Origin’s higher-profile investments is the online food ordering service GrubHub Seamless, which has been said to be prepping for an IPO. As Crain’s Chicago Business notes, Origin is one of several other Chicago venture firms to raise new funds recently. Chicago Ventures closed a $40 million fund in June; and Hyde Park Venture Partners closed a $25 million fund, also in June. Venture capitalist Fred Wilson weighs in on how to provide employees equity on an ongoing basis. A group of U.S. mutual funds led by Fidelity Investments holds a combined stake of nearly $250 million in Dropbox, positioning them for a big payoff if the cloud storage company can pull off a stock market debut like that of Twitter, reports Reuters. More here. Investor-entrepreneur Om Malik writes about Twitter, Chegg and Zulily — and why all tech IPOs are not created equal. Sources tell Valleywag that Blackjet, an app that promised to marry wealthy travelers with seats on private jets in ten seconds(! ), is “out of cash, unable to raise funds, and ‘basically over.’ Another source said: ‘They are f*#ked. '” The company raised between $2 million and $3 million from a wide variety of individual investors, as you can see by scanning this almost comically long list at Crunchbase. Legacy Locker, a five-year-old, San Francisco-based service that enables users to store an encrypted page of passwords and important documents to be accessed upon their death, has been acquired by two-year-old, San Francisco-based PasswordBox, a password management startup. The terms for the deal aren’t being disclosed, but all information from Legacy Locker accounts will be deleted, reports AllThingD. If its customers want to stick with the service, they’ll have to reregister for it as part of PasswordBox. We neglected to alert you to the Belgrade Venture Forum 2013 conference, which wrapped up yesterday. (Sorry.) But in news you can perhaps use: Serbian Economy Minister Sasa Radulovic announced at the event’s outset that the government is willing to co-invest up to 4 billion Serbian dinars (or about $47 million) in regional startups beginning in January. Goldman Sachs‘s super-secret Private Internet Company Conference rolls into its second day in Las Vegas today. Who will leak what today from the event? Stay tuned! So far this year, 60 U.S.-based financial software companies have attracted venture backing, according to the PitchBook Platform. The five that have garnered the most are: Clinkle, which raised $25 million; Bill.com, which raised $38 million; Aria Systems, which raised $40 million; Credorax, which raised $40 million, and, in the biggest related funding so far this year, Zuora, which raised $50 million in September. Zuora is a six-year-old, Foster City, Calif.-based company whose platform aims to help tech companies shift to a subscription-based model by helping to automate payments. Its investors include Benchmark, Shasta Ventures, Redpoint Ventures, Greylock Partners, and Index Ventures. The company has raised about $130 million to date. eBay is looking for a senior director, corporate development to help source, evaluate, and integrate the company’s many strategic acquisitions. (Over the last five years, the company has acquired more 30 companies, spending more than $6 billion for them altogether.) The company says the idea candidate should have an MBA or JD and more than 12 years of M&A or corporate development experience. It also wants to see a track record of leading complex M&A transactions, either through experience at an investment bank, venture capital firm, or a legal or consulting firm. Business Insider digs up videotaped depositions that suggest Snapchat cofounders Evan Spiegel and Bobby Murphy may owe a former frat brother “something” after all for his role in the earliest days of the now high-flying company. Box, the eight-year-old, enterprise cloud file storage firm, is raising a fresh $100 million in Series E capital at a valuation of $2 billion, according to TechCrunch sources. Last year, Box raised $125 million at a valuation of a reported $1 billion. The new funding would push the total amount that Box has raised to date — from Draper Fisher Jurvetson, Scale Venture Partners, US Venture Partners, among many others — past $400 million. Finding a luxurious home away from home. Which cheap, terrible beer tastes the best? A group of friends endures a blind taste test so that you won’t have to. Please feel free to send us any and all story suggestions (anonymous or otherwise) by clicking here. If you’re interested in advertising in our email newsletter, please click here. 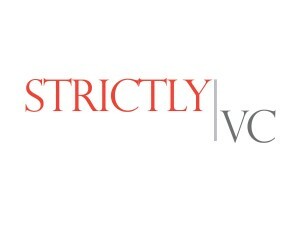 To sign up for the newsletter, visit strictlyvc.com.